An untreatable, Zombie-like disease afflicting deer, elk, reindeer and moose is spreading across the country and now has made its way to parts of Pennsylvania. The disease, officially called chronic wasting disease and unofficially known as "zombie deer disease," is a prion disease (meaning it's a rare neurodegenerative disorder affecting the animal's brains). 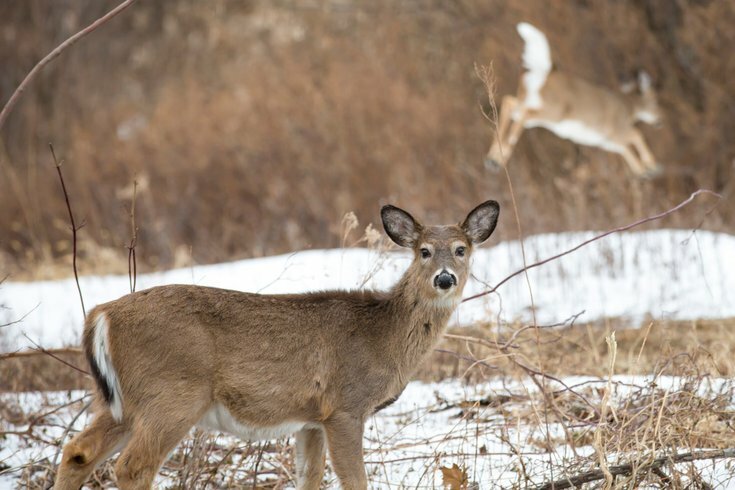 It results in drastic weight loss, stumbling, listlessness and other neurologic symptoms in animals like Pennsylvania's white-tailed deer, according to the Center for Disease Control and Prevention. There is also no known affect on humans or domesticated animals. But, CWD can cause aggression and a lack of fear of people. There is no known treatment, and it is always fatal. As of January 2019, 251 counties in 24 states had reported cases, according to the CDC. The disease was first noticed in the 1960s in Colorado. But according to the CDC, wildlife officials have noticed cases in free-ranging animals in at least 24 states this year, including in areas of the Midwest, Southwest, and limited portions of the East Coast. In Pennsylvania, infected deer have been reported in Blair, Bedford, Cambria, Clearfield, and Fulton counties. Neighboring states also affected include Maryland and New York. Nationwide, reporting has been low among free-ranging animals. However, scientists report that once the disease is present in a population, it can rapidly increase by 10 percent. And localized infection rates can spike up to more than one in four. Rates for captive deer are much higher. Although CWD has not spread to infect humans, the CDC recommends you consider where your meat is coming from if you plan to consume venison or elk.